Adventure is in Tory Brennan's blood. After all, she's the grandniece of world-famous forensic anthropologist Temperance Brennan. Always up for a challenge, Tory and her science-geek friends spend their time exploring the marshlands of Loggerhead Island, home to the very off-limits Loggerhead Island Research Institute, where something strange is going on. After rescuing a stray wolfdog pup from a top-secret lab, Tory and her friends are exposed to a rare strain of canine parvovirus, changing them—and their DNA—forever. Now they are more than friends. They are a pack. 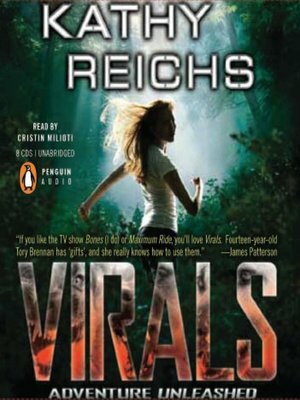 They are Virals. And they're dangerous to the core. But are they unstoppable enough to catch a cold-blooded murderer?